The film, starring Rajkumar Rao, will have world premiere at Cannes next week; will hit Indian theatres in August. 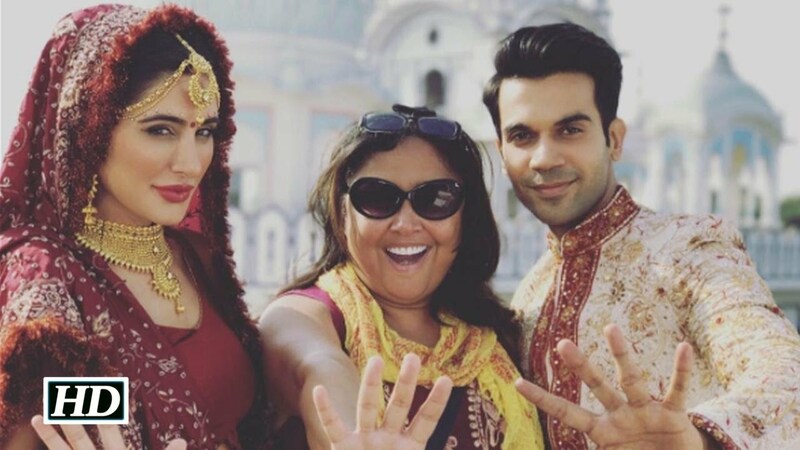 The poster of 5 Weddings, directed by Indian American Namrata Singh Gujral, was released by Bollywood actor Rajkumar Rao, who plays the leading role in the film. The film, which will have its world premiere at the Cannes Film Festival later this month, features Nargis Fakhri, Anneliese Van der Pol, Bo Derek, Candy Clark, and Suvinder Vicky in major roles. The movie tells the story of an American journalist who travels to India with a beat to cover expensive Bollywood weddings. Rao plays the role of a liaison officer whose job is to prevent any journalistic espionage under India’s censorship laws. The movie enters its main and subplots by passing through stories of lost love, transgender tangles and cultural clashes that exist in India. The film symbolizes the ups and downs of a wedding celebration. The film has received a slot as a world premiere at Cannes Film Festival and it will be screened on 10 May 2018. The movie will hit theaters in India on August 24, 2018. Gujral is an Indian American director, producer, actress, writer and speaker of Sikh faith. She is a twin cancer survivor. She first fought breast cancer in 2008 and-Hodgkins lymphoma in 2013. Lifetime TV has honored Gujral as one of their “Remarkable Women” for her work as a filmmaker for Warner Bros “1 a Minute”. Gujral’s upcoming projects include the dramady Himalayan Rhapsody, the sci-fI action Still and the war drama Tie That Binds.